According to some, Steven Wilson is a genius. Believe me, Mariusz Duda is not far behind. You may know him from his bass playing, singing and writing for Riverside but if that is as far as you have got, then may I invite you to the Lunatic Soul. 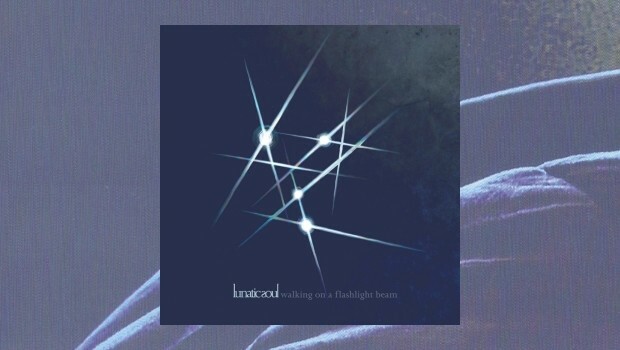 Walking On A Flashlight Beam is the fourth album by Lunatic Soul and Mariusz Duda is Lunatic Soul. He began in 2008 with the Lunatic Soul Black album, followed up with, yes you’ve guessed, the White album in 2010, and his Impressions album in 2011. All feature the man himself playing traditional Polish instruments, but don’t let this put you off, Mariusz’s mind set is still the same as with Riverside but without the electric guitar and rock keyboards. Flashlight to a certain extent leaves the traditional instruments behind but instead takes the listener on a journey of emotion, darkness, solitude and eventual light, visiting electronic grooves powered by his superbly constructed bass lines. There is a tinge of Morocco and the Far East about this album which is not a criticism, rather a sign post for the trip as the Lunatic Soul rises from the gutter and embraces the future. Shutting Out The Sun begins proceedings with what sounds like the tide coming in, but here it is being ridden by a monster on the prowl. I suppose if the sun was shut out then this is exactly what it would sound like. We get some acoustic guitar as a prelude to the vocals and this would be some opener on any album, fuzzy electric guitar, orchestration and bells making their mark. 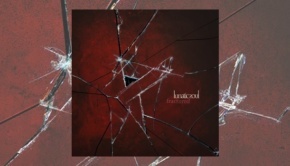 The vocals are deep, soft and droning with Mariusz’s normal vocals over the top, the lyrics all about self-imposed solitude. When the tempo picks up eight minutes in, the foot begins to wag to the moving beat. Further aural theatricals depict Cold, acoustic guitar and a tapping high-hat setting the scene with vocals more in the vein of what we have come to expect from Mariusz. His bass plays almost a night club beat but with the atmosphere of coldness enhanced by the high-hat rhythm before the full kit is dispatched along with some distorted vocals. This track really begins to move, not only in rhythm but with the augmentation of high-end orchestration. The darkness of the album is perhaps best shown in Gutter which also features the bass Duda is known for, together with some monastic vocals which are mixed with an almost Moroccan feel. The bass is very much to the forefront but Gutter is the better for it. Snake charmer hand cymbals are mixed with high pitched wordless vocals and he sings about a fear of being out alone, at which point a door shuts and he is locked in! Dramatic indeed. Stars Sellotaped is a short instrumental which acts as a bridge to the next part of the trip which involves floating soundscapes and rather dark, threatening deep bass. Bells and bowls with reverb electronica begin The Fear Within which shows the quality of the production which needs to be good with instrumentation like this, and it is. A loop of strings adds another layer, as do keyboards as the track builds without vocals. The mix of instrumentation floats through 5 minutes finishing with some lazy acoustic guitar to bring the listener back into the light from rather a dark place, but has Mariusz brought us to somewhere even colder? If ever there was a love song on an album so dark then Treehouse is the song. Some McCartney piano with a steady snare and bass gives it quite a ‘middle of the road’ feel and with lyrics like “I guess I fell into your heaven” it could even be a Coldplay or Elbow number. In Pygmalion’s Ladder we return to the Far East, the instrumentation offering a complicated desert hip-hop groove. Duda’s up-front vocals about “solitude, despair, laughter and tears” leads into acoustic bass being added to the groove as it begins to build, with distorted guitar being thrown in for good measure. This eastern groove continues for in excess of 10 minutes and one has to wonder which part of our world the ladder ascends to. Finally, again, we arrive in an acoustic interlude before a heavier version of the main theme concludes the ride. It’s a while since I heard sheep on on an album! Sky Drawn In Crayon’ depicts Mariusz and his acoustic guitar with what can only be described as sheep ‘baa’-ing in unison. Children in the playground (who I presume are the crayon users) and the school choir continue the rather dark feel of earlier tracks. Finally the title track offers the listener some hope for the future. Although still moody there is a lighter opening with deep mechanical bass and a simple drum line which takes the listener towards an open and forward looking eventuality. A perfect finale which seems to reference previous lyrics but gives our Lunatic Soul some hope by walking on a flashlight beam. If Mr. Wilson fits into this category then Mr Duda, on this showing, needs to be considered too.